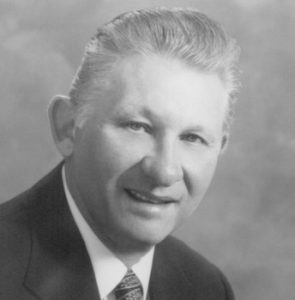 Vance T. Meyer came to Pardee Construction Company in 1966, hired by George Pardee, Jr., to evaluate company holdings and recommend appropriate action. In his more than 30 years with Pardee, Vance has brought effective strategies to all markets and economic cycles and has been instrumental in establishing the company as a premier builder/developer of master-planned communities. Vance was in the vanguard of those who recognized that lasting success depended on providing more than simple shelter, and helped pioneer targeted product based on sound market research. Since 1984, Vance has served as Executive Vice President and Chief Operating Officer, contributing greatly to Pardee's enduring niche as one of California's only true builder/developer companies. In concert with Pardee President and CEO, David Landon, he has forged a uniquely effective organization that ranks among the top five builders in all of its markets. Dedicated to industry commitments, Vance has been a member of the Board of Home Aid America. Established by the Building Industry Association of Southern California, Home Aid America provides shelter for the homeless. Vance has also served on the Board of the Western Los Angeles Council for the Boy Scouts of America and as Chairman of the Scholarship Committee of the Pardee/Boy Scouts Golf Classic in Los Angeles. Vance has supported fund raising for the Wellness Community, a nationally acclaimed organization that provides support to cancer patients. He is a member of the Pepperdine University Crest Club and a regular contributor to the University. Vance is also Past President of the congregation and a council member of the Palisades Lutheran Church. An active participant in the Building Industry Association of Southern California since 1966, Vance earned the Member, Institute of Residential Marketing accreditation in 1969. He is also a member of the Sales and Marketing Council, Building Industry Association Los Angeles/Ventura Chapter. ​Vance and his wife, Sandie, reside in Malibu and are the parents of two daughters. Vance is a graduate of California State University at Northridge with a B.S. in Marketing.